In this intriguing page-turner, Elly Griffiths introduces forensic archaeologist Ruth Galloway. 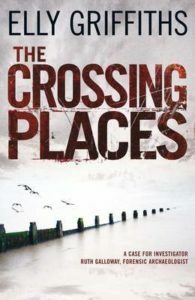 A professor at the local university, she finds herself called into a murder investigation by the police when a child goes missing and bones are uncovered in the remote marshy area where Ruth lives. During the course of the investigation, Ruth grows closer to Detective Chief Inspector Harry Nelson. The edition of The Crossing Places I read previewed the first two chapters of the second book in the series, The Janus Stone. Griffiths managed to hook me into that story too. I’m longing to learn more about forensic archaeology, curious to discover what lies beneath the reclusive Ruth, and of course, anxious to see how the relationship between Ruth and Harry will evolve. In Yorkshire, a suspect is acquitted of murder following very uncertain testimony by an eyewitness. He is placed under identity protection due to the heated response of the local community, and ten years later Chief Superintendent Simon Serrailler of Lafferton is confronted with first one, then a second brutal murder of elderly women under circumstances similar to the Yorkshire case. 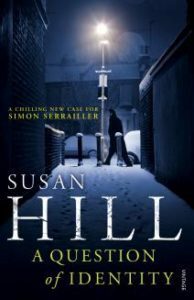 In Susan Hill’s A Question of Identity, the reader follows the case development with the police superintendent as well as the views of the suspect and a lonely hermit who wanders and watches. Find previous books in the series on Goodreads, plus check out my recent reviews of The Betrayal of Trust and The Risk of Darkness. I picked up this classic British mystery after seeing a preview for the movie adaptation. 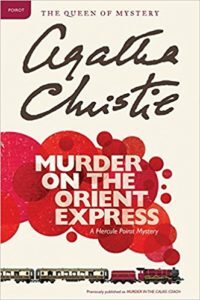 My first foray into the world of Agatha Christie and Detective Hercule Poirot did not disappoint. Murder on the Orient Express has an abundance of suspects, an engrossing story, and a clever plot. 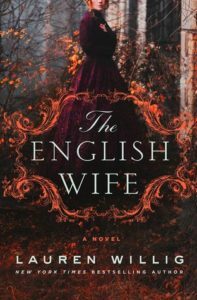 Listen to actor Dan Stevens (of Downton Abbey and Beauty and the Beast fame) narrate the novel (available on CD and Hoopla). Between his performance and Christie’s story, you will be hooked immediately. Stevens’ range of accents makes it easy to follow the large cast of characters. And it’s only 6.5 hours long! Want more? We’ve got you covered with whichever direction you go: check out our lists of classic mysteries and audiobooks for a quick trip. Also, check out Shows ‘n Tunes in January for Corrine’s review of the movie adaptation. 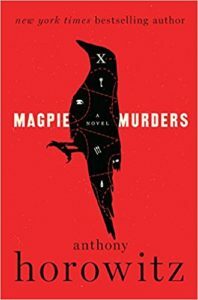 Famous (and fictional) mystery writer Alan Conway’s last novel begins with a burial while seven magpies perched in a tree look on. One for sorrow, one for Joy, one for a girl and one for a boy, one for silver and one for gold, and the last for the strangest tale that ever was told. 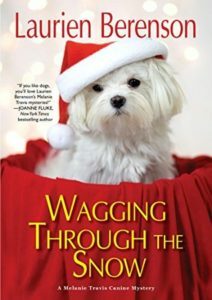 This mystery within a mystery follows this children’s poem but the reader is challenged to find parallel events in the lives of the author, editor, and publisher to those affecting characters in the author’s last novel. Were the last chapters of the novel stolen, destroyed, or never written? Who can untangle these mysteries? Discover the answer to these questions in Magpie Murders by Anthony Horowitz. 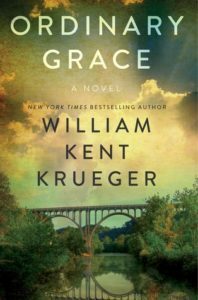 In William Kent Krueger’s novel, narrator Frank remembers the summer of 1961 when his perspective on life changed forever. A smart aleck thirteen year old, Frank thought he knew it all. He and his younger brother Jake are faced with multiple killings in their small Minnesota town and figure out the awful truth behind the hardest death of all. Part mystery, part poignant family drama, Ordinary Grace shows how bad things happen to good people and what you see is not always the whole story. It took the innocence of childhood to see beyond the surface. A tender epilogue set forty years later ties up loose ends and shows how the summer of 1961 truly shaped the lives of the Drum family. Author Michael Connelly is often at his best when he brings his two principle characters together. 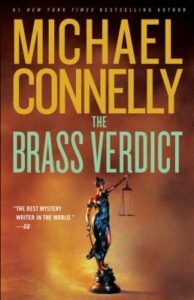 In The Brass Verdict, attorney Mickey Haller and detective Harry Bosch meet for the first time when Haller takes over the lucrative docket of a murdered lawyer and Bosch investigates the crime. At first, they don’t recognize each other, but there are suggestions of family connections. Bosch sets up a scam attack on Haller in an effort to gain information, but Haller figures it out and the two decide to work together and find the real culprit. In The Wrong Side of Goodbye, these half-brothers fully cooperate when private eye Bosch is engaged by an aging billionaire to find an heir. 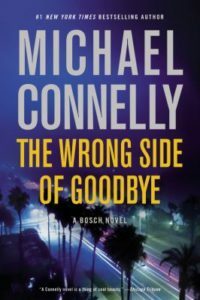 Bosch retains Haller as his attorney when the billionaire dies and Bosch becomes entangled in more legal issues than he can manage. Check out a New York Times review. In these novels, the reader is treated to both investigative and legal strategies as the adventures unfold. Private eye Kinsey Millhone accidentally uncovers a shoplifting ring with roots in organized crime as she goes on a rare shopping spree. 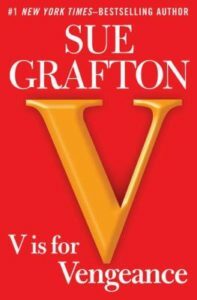 In V is for Vengeance, author Sue Grafton presents points of view from multiple characters, allowing seemingly unrelated stories to converge and play into the crime Kinsey is obsessed with solving. The mystery and a struggle for her life almost keep her from remembering her long dreaded 38th birthday. Her gentle and wise octogenarian landlord/neighbor and his quirky brother add levity to the story and to Kinsey’s perilous lifestyle. Did you know? A new Kinsey Millhone book was released recently. Check out Y is for Yesterday today. 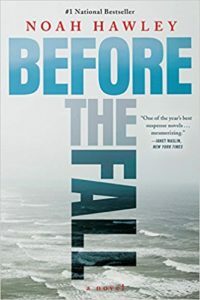 And if you enjoy Sue Grafton’s alphabet books, browse our list of other popular mystery and suspense series.